Learn in this article what rules apply to drones in Nigeria. 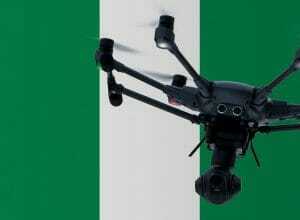 In Nigeria, all drones weighing between 250 grams and 25 kilograms must be registered. The drone registration can be done here by hobby pilots online. If you do not register, you risk a fine or imprisonment of up to three years. Commercial pilots must obtain a permit directly from the Nigerian Aviation Authority. In the application, I would submit my German drone license. We have researched the listed drone regulations for Nigeria to the best of our knowledge. We cannot guarantee the correctness of the information. If you want to be on the safe side, contact the competent aviation authority. Alternatively, you can also ask the embassy in your country for further information about the regulations. Please leave us a comment when you receive news and/or gain experience with your copter in Nigeria!